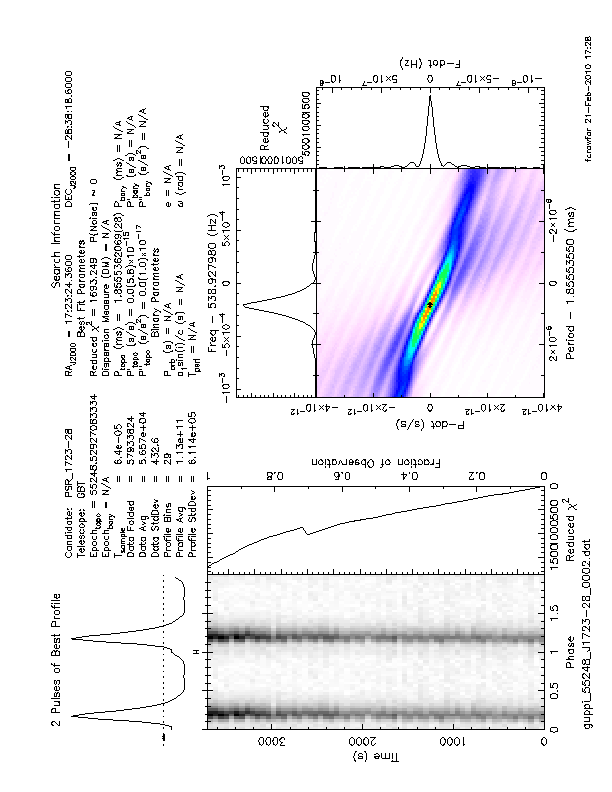 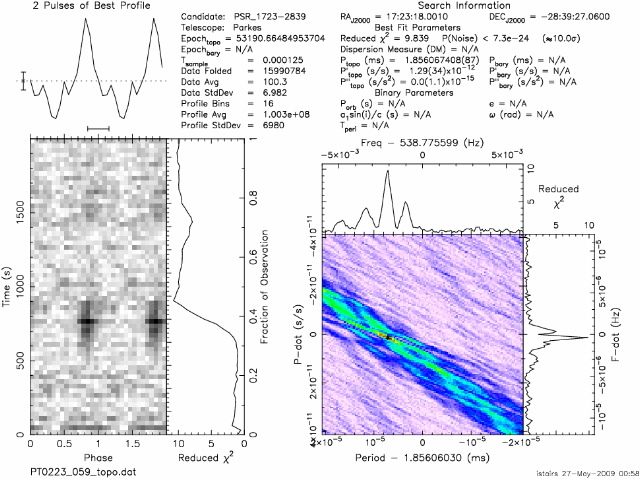 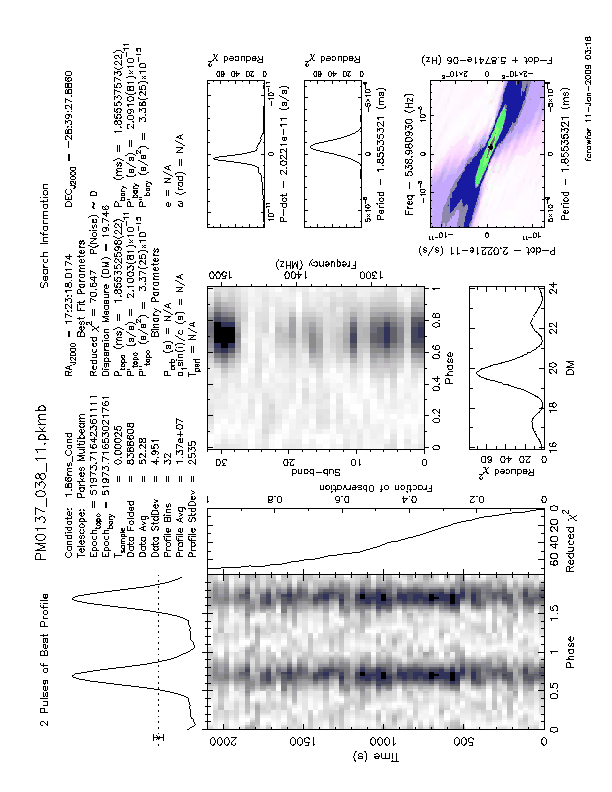 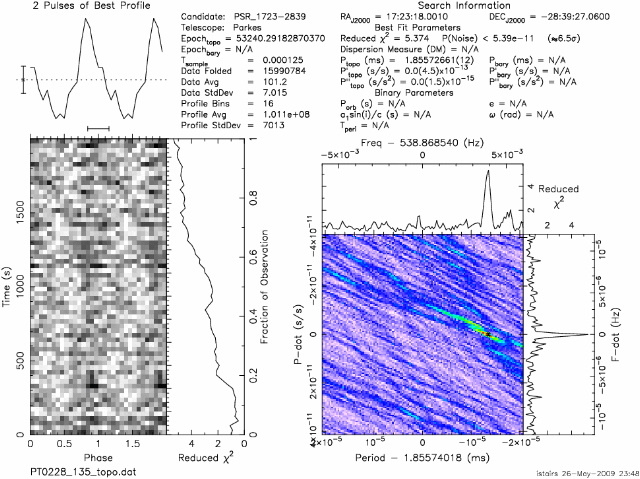 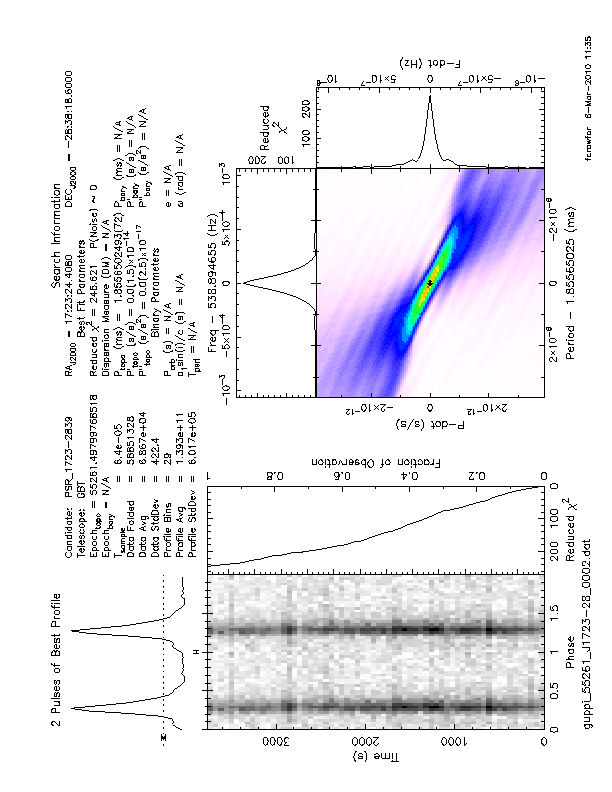 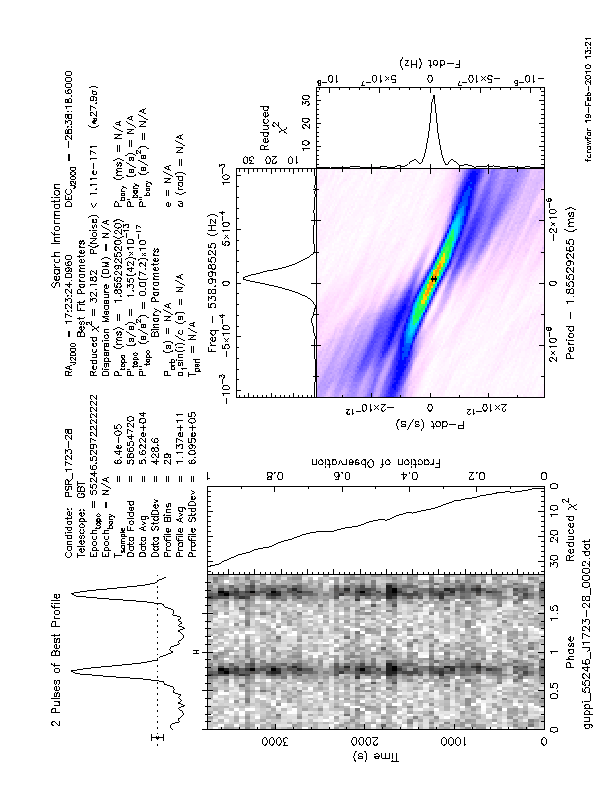 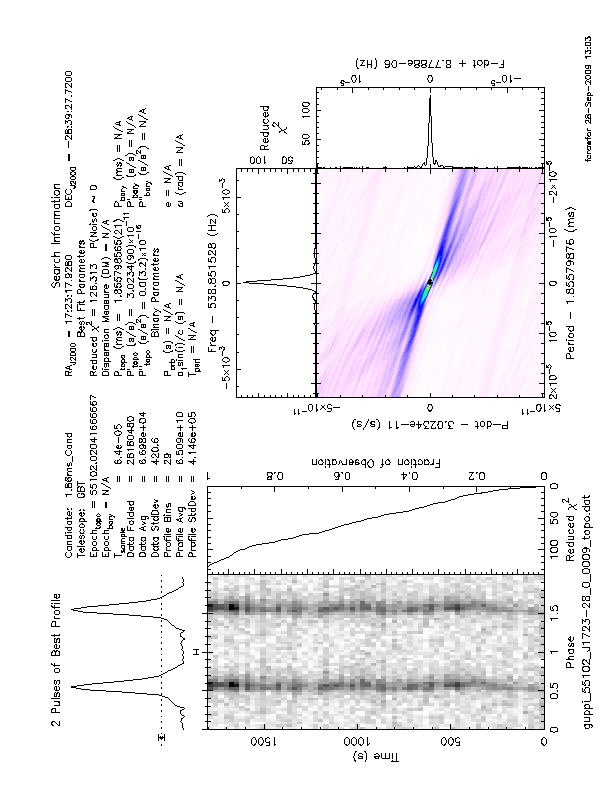 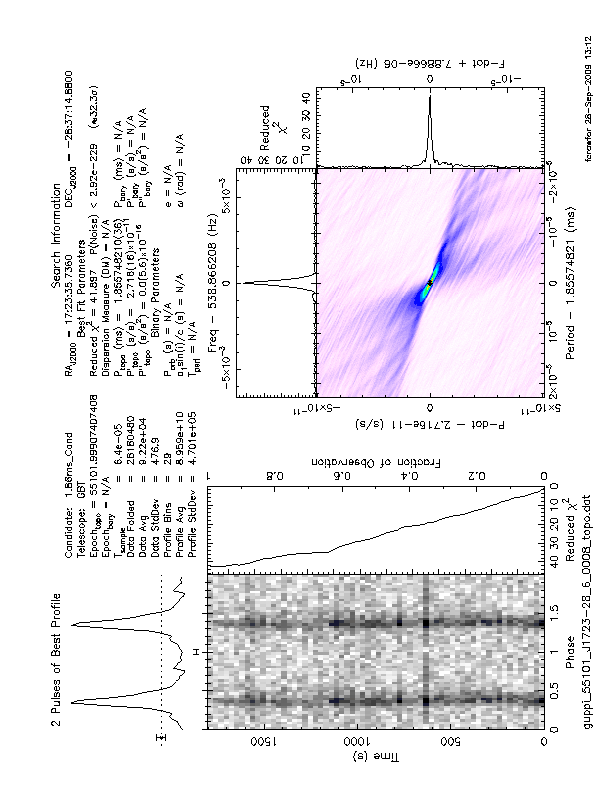 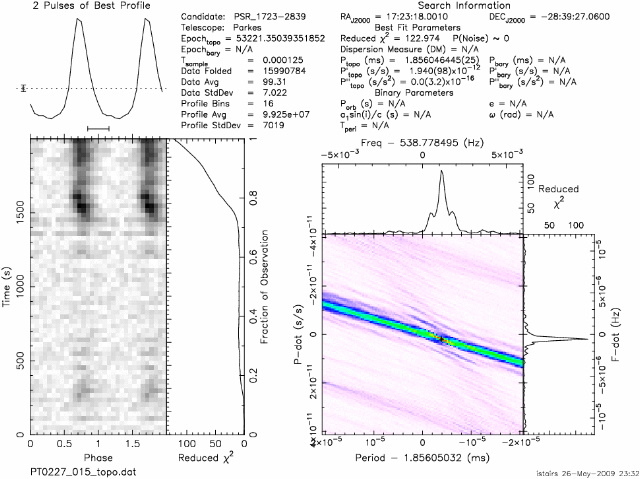 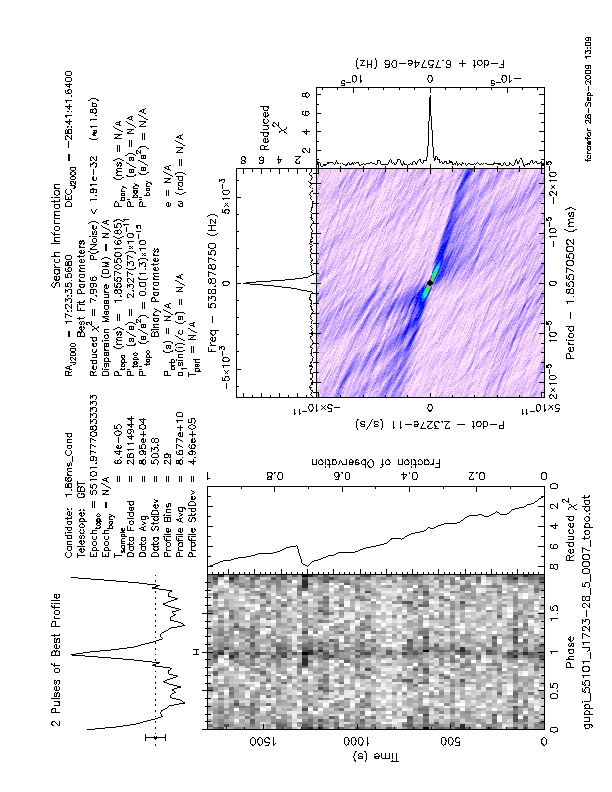 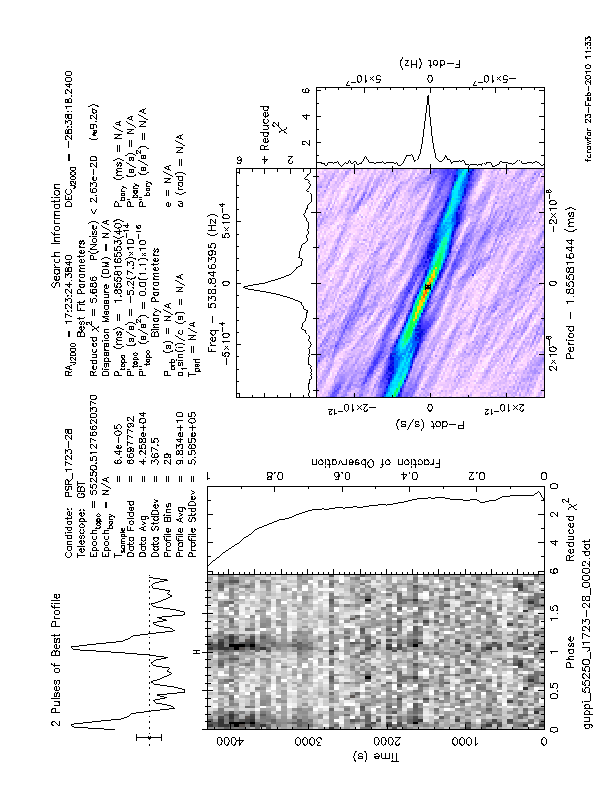 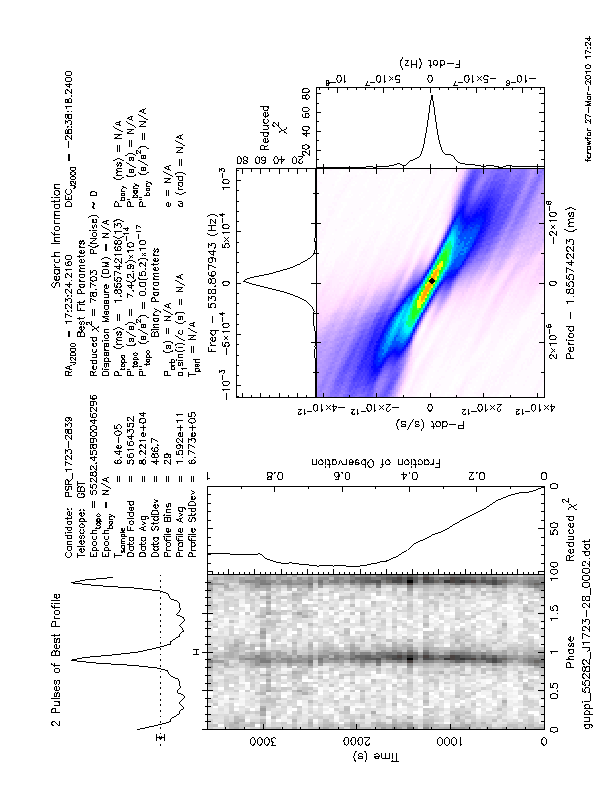 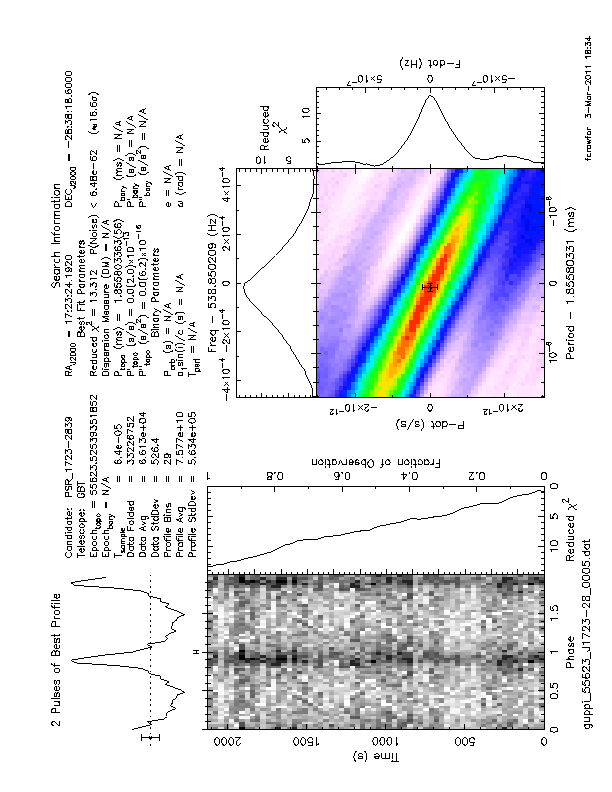 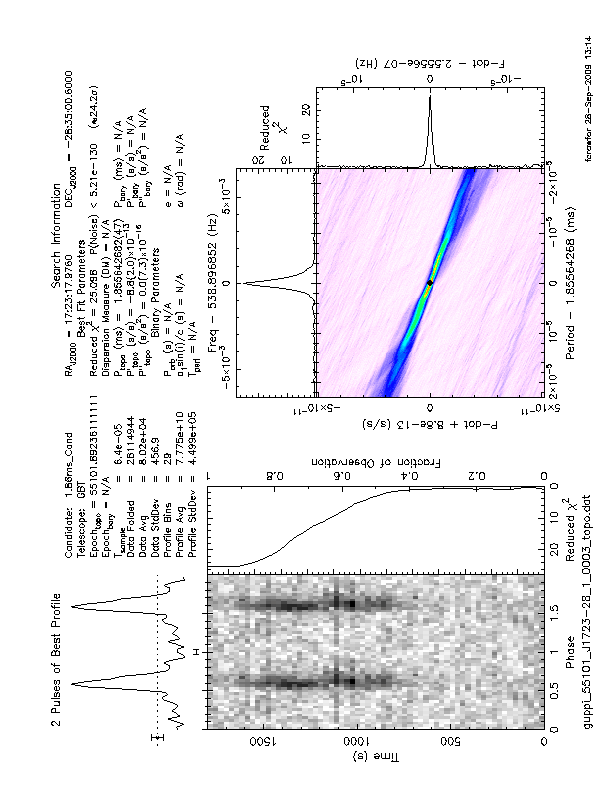 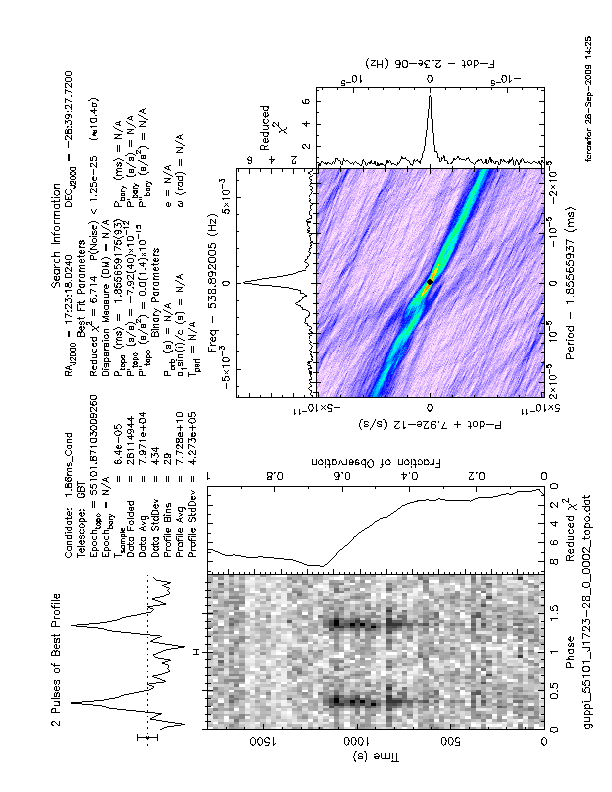 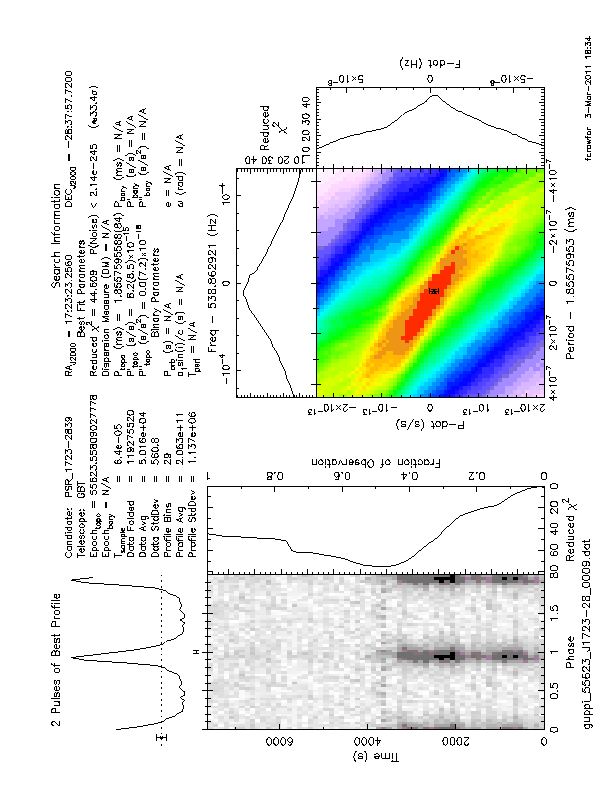 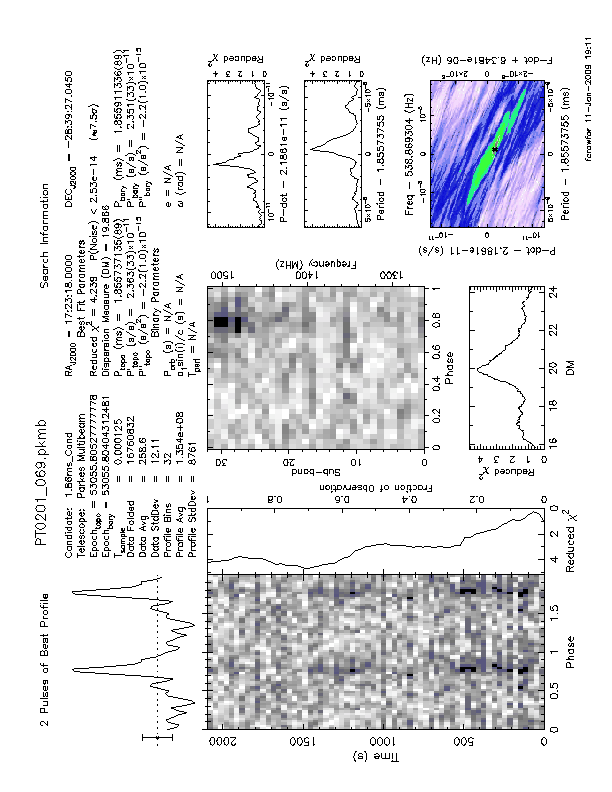 The timing results and a discussion of the companion star can be found in "PSR J1723-2837: An Eclipsing Binary Radio Millisecond Pulsar" by F. Crawford et al., Astrophysical Journal, 776, 20 (2013). 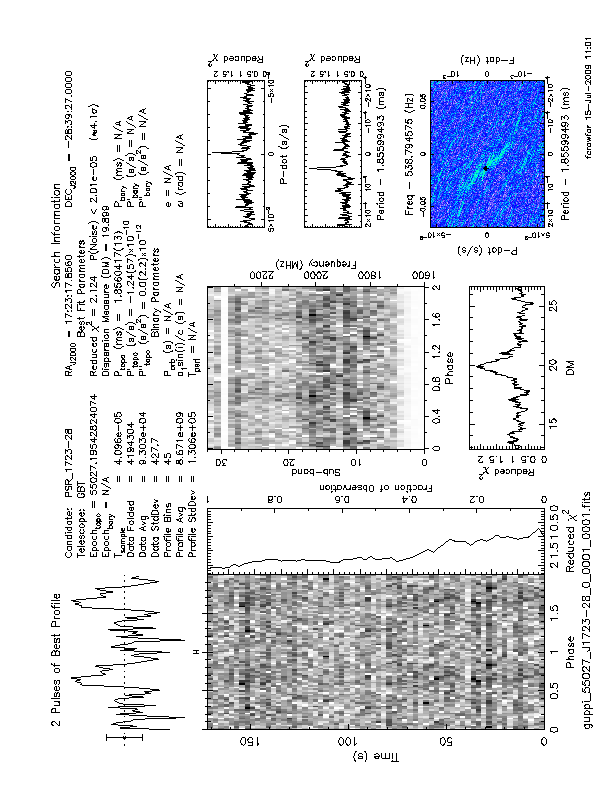 Note: There are lots of Jodrell observations/TOAs not listed here (commencing at MJD 55120). 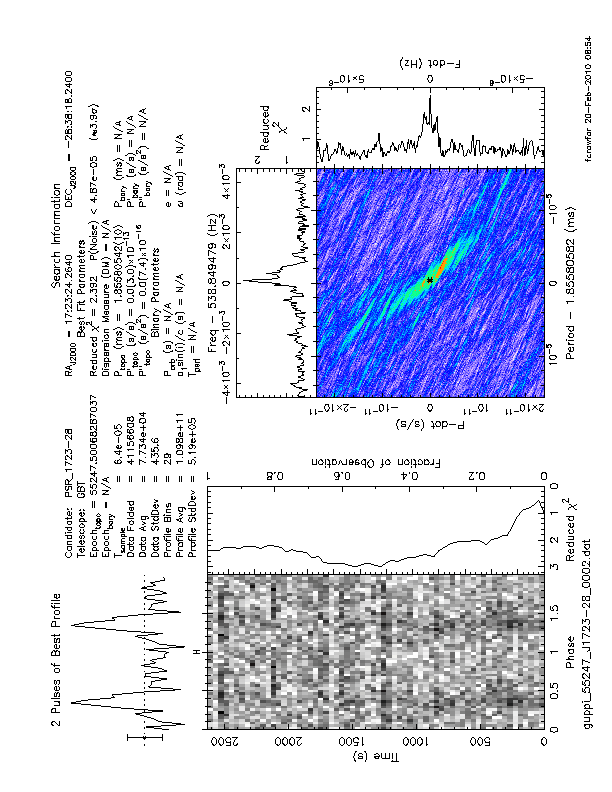 2003/07/02 52822.3966 Parkes 1374 MHz filterbank 360 sec (6.0 min) PT0176_090.pkmb weak detection? 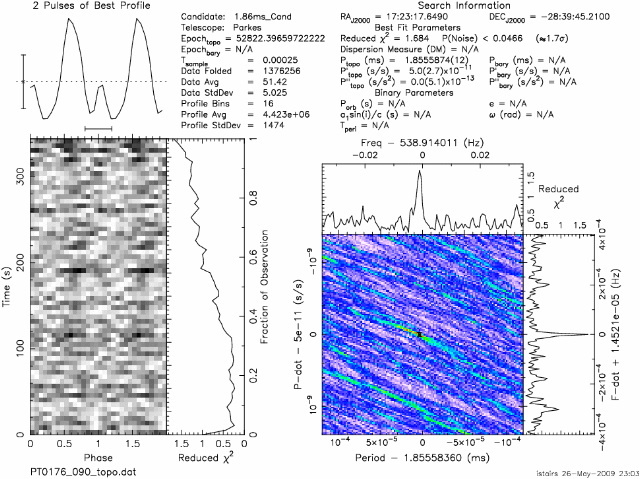 2009/07/15 55027.2012 GBT 2000 MHz GUPPI 180 sec (3.0 min) guppi_55027_J1723-28_0_0001_[0001,0004].fits weak detection?